If you were here a couple of weeks ago, you will know we had a fun All-Age worship looking at the parable of the sower. I planted a load of seeds in four different pots and ever since then Lynda has been regularly watering them in our back garden. My plan is that in a few weeks’ time I will bring the pots back here to St Michael’s and I am just hoping it is the seed that was planted in good soil which will actually be growing! As we saw back then, the seed Jesus is talking about in this parable is the word of God. God’s way of growing his kingdom is by spreading the good news of Jesus Christ in our hearts, and creating communities of faith and love called the church. But as Jesus makes clear in other parables God is not the only one who goes around spreading His word. There are in every age and in every generation false teachers who plant their own message and build their own types of churches. It might be the false teaching of a cult like the Jehovah’s Witnesses or Mormons who change the message of the Bible. It might be the false teaching of a theologian or scholar who blinds us with their learning. It might be the false teaching of some website or Facebook group which pops up on our search engine. But in whatever form it exists, it is important we recognise false teaching and know how to deal with it. Because although false teaching looks like the real thing, although it may promise much, in the end it cannot change lives for good, and it substitutes human wisdom for the power and glory of Jesus Christ. It was precisely in order to counter false teaching that Paul wrote his letter to the church at Colossae. From what we can gather, it seems that some had come along claiming to promote a higher and better form of Christian religion, and they were undermining the work that Paul’s friend Epaphras had done to plant and establish the church. And in all the confusion that was going on, there were no doubt believers who were questioning whether Paul was the real deal, and were unsure whether the version of the faith Paul was promoting was the right one. So right at the beginning at the letter Paul introduces himself as an apostle of Christ Jesus by the will of God. His credentials for being a leader in the church came not from himself or from any ministry he had decided to set up for himself. His credentials came from God, and his message was only what had been revealed to him by Jesus Christ. Of course the false teachers who were unsettling the Colossians probably claimed exactly the same thing. Even today they are many claiming to be apostles who say they have received their message from Jesus Christ Himself. But Paul’s claim to be an apostle ran far deeper than a mere title or position in the church. He could invite the Colossians to look at his entire way of life and see for themselves the evidence that he really was a true servant of the Lord. And in today’s passage he sets out that evidence in five different ways. So, first of all, in verse 24, he shows he is a true apostle of the Lord by his willingness to embrace suffering. Now on first reading verse 24 is quite a difficult verse to understand: Now I rejoice in what was suffered for you, and I fill up in my flesh what is still lacking in regard to Christ’s afflictions, for the sake of his body, which is the church. What does Paul mean by filling up in his flesh? What does he mean by something lacking in Christ’s afflictions? It’s unusual language and it is very easy to skip over his words, but when you drill a little deeper you find he is saying something very important. Back in Mark 13:9-10 Jesus tells his disciples: You must be on your guard. You will be handed over to the local councils and flogged in the synagogues. On account of me you will stand before governors and kings as witnesses to them. And the gospel must first be preached to all nations. In other words, in order for the good news to reach every corner of the earth, those who follow Jesus must be willing to suffer. Just as Jesus was betrayed, arrested, flogged and crucified, so we too must expect to be hated and mistreated by the world. And indeed even as I speak this morning, there are Christians all over the world who know exactly what it means to take up their cross and count all things loss. In this passage from Colossians Paul also is expressing his willingness to be the fulfilment of Jesus’ prophecy. He was no armchair theologian writing from the comfort of his study, or slick evangelist enjoying a cushy lifestyle. In fact he was a prisoner when he wrote this letter. His refusal to compromise his faith meant he was rotting in a Roman cell. But the reason why he went through all of this was because his one concern above all else was for the body of Christ, the church. If that was the price that had to be paid for the church to grow, Paul was willing to pay it. Nothing else mattered. Paul showed himself a genuine apostle of the Lord by being willing to suffer for Him. Yet it’s also important to notice that here Paul does not go on to describe those sufferings in any detail. Sometimes you come across leaders who have all kinds of dramatic testimonies about how much they have suffered for the Lord. But the danger is, they are pointing to themselves and not to Christ. They want you to be impressed by what they have been through, rather than consider the cost you might have to pay in following Jesus. But Paul in verses 25-27 makes it clear: His focus is on promoting God, not himself: I have become its servant (that is, the servant of the church) by the commission God gave me to present to you the word of God in its fullness – the mystery that has been kept hidden for ages and generations, but is now disclosed to the saints. To them God has chosen to make known among the Gentiles the glorious riches of this mystery, which is Christ in you, the hope of glory. Paul was only an apostle because the Lord gave him a job to do. His role was not to be a star in the church, but a servant. And he was a servant with only one task to do – to present the word of God in all its fullness. So whenever he stood up to preach or teach or pray, his overriding concern was to make sure that the attention was not on him but on the message he was proclaiming – because in God’s kingdom when personalities become bigger than the message, that’s when false teaching creeps in. And indeed you don’t have to look too far to see that so often the greatest damage is done to churches and individual believers when the preacher rather than Jesus is the main attraction. Paul wants the spotlight not to shine on him, but on the word of God. So what exactly is that word? Well, listen to how Paul describes it at the end of verse 27: Christ in you, the hope of glory. Just take a moment to let those words sink in – Christ in you, the hope of glory. Last week Lynda presented a breathtaking portrait of Christ: as the image of the invisible God; as the one by whom and for whom all things were made; as the head of the body, the church; as the one through whom God has reconciled all things by His blood. And if you here, you might be thinking, that’s all very well, but how do I get to know such a wonderful and magnificent Christ? The short answer is, because this Christ, the Lord of Lords, the King of Kings, chooses to live in the hearts of all those who believe and trust in Him, and in the church which is His body. He comes to all who say “Yes” to Him and He dwells in and among us by His Holy Spirit. And not only that, but He promises us a life to come which will be spent with eternity with Him. That’s what Christ in you the hope of glory means. It’s a life-changing, revolutionary message that should be proclaimed as clearly as possible. For Your glory and Your fame. And I surrender to Your ways. So Paul shows he is a true apostle by being willing to embrace suffering. His focus is on promoting Christ, not self. And thirdly, because he is a servant of the church, his mission is to proclaim the whole counsel of God. Listen again carefully to verses 28-29: We proclaim him, admonishing and teaching everyone with all wisdom, so that we may present everyone perfect in Christ. To this end I labour, struggling with all his energy, which so powerfully works in me. Did you notice that word “admonish”? I find it extremely interesting that Paul puts this word before teaching. To me, it seems that in most churches there is a kind of unspoken agreement between the congregation and their leaders, which goes something like this: “You tell us what we want to hear and we’ll stick with you. Tell us there are things God wants to change and we’re out of here.” And because the leader doesn’t want to upset anyone he goes, “That’s fine by me. I’m not really comfortable with challenging anyone in any case.” So the church becomes a kind of cosy club where everyone feels affirmed and valued, but no-one ever really changes. However Paul in this passage tells us plainly – sometimes you have to tell people truths they don’t want to hear: “You shouldn’t be spreading gossip”; “You shouldn’t be sleeping with your boyfriend”; “You shouldn’t be watching that programme” etc. etc. Now I’m going to be honest and say that I find the whole idea of warning and admonishing people the hardest part of my ministry. Yet over the years I have also seen it is also one of the most necessary parts of my ministry. Why? Not because you want to make the other person feel bad about themselves or you want to assert any authority over them – but because you love them and you want them to become the person God created them to be. In verse 28 Paul makes it crystal clear why he does what he does: We proclaim him, admonishing and teaching everyone with all wisdom, so that we may present everyone perfect in Christ. That’s why Paul claims His authority as a leader – not for his glory, but for the glory of Christ. Because actually if sin is unchallenged, if no-one is called to account for his or her actions, then in fact the church is less than Jesus intends it to be, and it isn’t acting as a credible witness to an unbelieving and hostile world. So Paul goes round admonishing everyone and teaching everyone, not because he is throwing his weight around, but because He is passionate for the welfare of individual believers and for the welfare of Christ’s body the church. And this leads on to the fourth indicator that Paul is a true apostle of Jesus Christ, namely that he has a genuine care and love for the churches of Jesus Christ. Listen again to these words from Chapter 2:1-3: I want you to know how much I am struggling for you and for those at Laodicea, and for all who have not met me personally. My purpose is that they may be encouraged in heart and united in love, so that they may have the full riches of complete understanding, in order that they may know the mystery of God, namely, Christ, whom are hidden all the treasures of wisdom and knowledge. Paul’s passion for the church, and the reason why he spent so much time and energy even on congregations he had never met, was so that everyone might be encouraged in heart and united in love. Now let me ask, is that your passion for the church? In my experience churches tend to be passionate about many different things – such as money or the state of the building or who’s going on the rotas, and there’s no doubt these things are important. But Paul teaches us here that our ultimate concern for the church should go beyond the visible and the immediate: our ultimate concern should be for unity at the very deepest level, where hearts are joined together in love, where each person encourages one another and helps one another find strength and comfort through the Holy Spirit. Because where that unity exists, all those other things that so concern us fall into place. As we gather together in the name of Jesus, so we find Jesus revealing His will to us and giving us the wisdom and knowledge that we need to say, meet the financial needs of the church, or keep the building going, or carry out all the ministries He is asking us to undertake. The Lord Jesus, you see, delights to give understanding to those who are set on joining together in worship and offering themselves in His service. 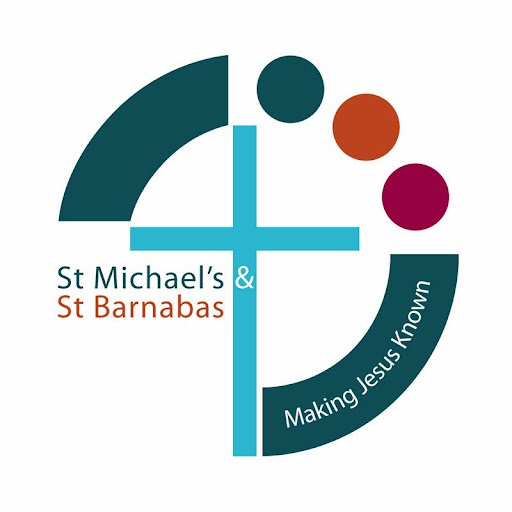 So to give one very simple but important application: it is likely that in the next few weeks we will finally complete the sale of St Barnabas and then we will have to make a decision about what to do with the sale proceeds. We could look at this decision from a purely financial point of view. We could draw up lots of different plans and decide which one looks like giving us the best return. But actually the way the Lord would have us approach this decision is by making sure that before we go any further we are united in Christ. Again so often churches split and divide when they have major decisions to make because human personalities become more important than the good news of Jesus Christ, or they rely on human wisdom rather than the wisdom of the Spirit. If the Lord is giving us a sum of money it is I believe because He wants to test us to see if we are really functioning here at St Barnacles as the one united body of Christ and are relying on Him to give us the wisdom and knowledge that we need. Paul shows himself to be a true apostle of Jesus Christ because he is willing to embrace suffering. His focus is on promoting God not himself. His desire is to proclaim the whole council of God. He has a genuine care and love for the church at Colossae. And that is why, finally, he is anxious to defend the church from false teachers. Not because he wants everyone to know he is right and the rest are wrong, or because he feels insecure and threatened by their teaching, but because his passion and his concern is for the glory of God. He wants the church to be all that God intends to be, the body of Jesus Christ, full of the Holy Spirit, growing in wisdom and knowledge, where lives are changed for good, where each member supports and encourages on another, where the whole counsel of God is preached and proclaimed, and where people are willing are take up their cross and follow Jesus Christ. By God’s grace the signs from Colossae were encouraging. Verses 4-5: I tell you this so that no-one may deceive you by fine-sounding arguments. For though I am absent from you in body, I am present with you in spirit and delight to see how orderly you are and how firm your faith in Christ is. But he is not complacent. In every age and in every generation where the church is standing firm in the faith and growing, there are always challenges that will lead us away from the gospel and those willing to offer us false teaching. That is why in all that we do, in all our words, in all our plans, in all our meetings, in all our decisions, we need to remember what is the good news that unites us and keep our hearts and minds focused on that one simple fact – Christ in you, the hope of glory. Let’s not get thrown off course by personalities or practical challenges or even plain old persecution. Let’s unite around the truth of who Jesus is and the reality of His presence in us and among us. And let’s make sure we allow God’s word to admonish us and to teach us, so that we as we grow together in love we may indeed be that community of faith and love to the praise of glory of His name. Amen and amen! This entry was posted on Monday, July 9th, 2018 at 8:51 am and is filed under Colossians. You can follow any responses to this entry through the RSS 2.0 feed. Responses are currently closed, but you can trackback from your own site.